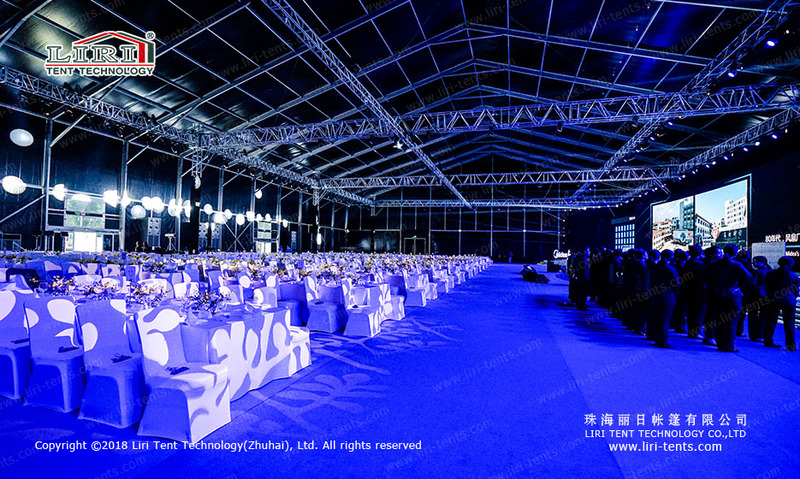 The large commercial marquee made by Liri Tent is popular among the public, and it’s widely used for various large-scale events, exhibitions, and other projects. We will customize the exclusive type of tents according to the needs of the customers and the actual situation of the venue. Large commercial marquee is a new type of modular structure. The advantages of modular structures are that its rapid constructing speed, good seismic performance, large use area, flexible combination, convenient transportation, and can be moved at any time. Compared with traditional housing constructions, tents are more time-saving, efficient, flexible, and low input costs. Especially for some temporary rental venues, if you want to hold an indoor event, then the tent will be your best choice. Large commercial marquee is different from other common temporary buildings. The tent can be used not only as temporary but also semi-permanent use. 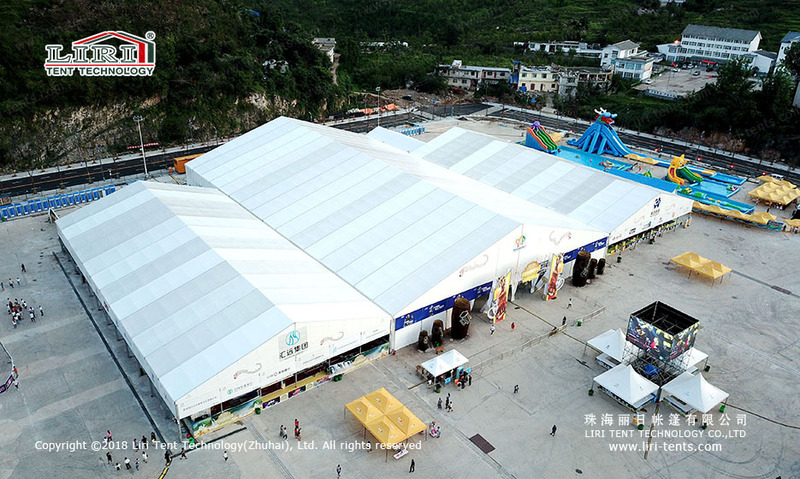 In order to ensure the safety of the tent when the product is put on the market, Liri’s technicians will execute inspections and trial installation repeatedly. If there is any problem, it will be improved in time, and be re-inspected and tested, to guarantee that what we offer customers are the superior quality tents. The large commercial marquee which the monolithic frame made of aluminum is not only sturdy and durable but also resistant to corrosion and rust, it can perfectly cope with the climate impacts of a wide range of regions. At the same time, the tent can be equipped with a variety of accessories. 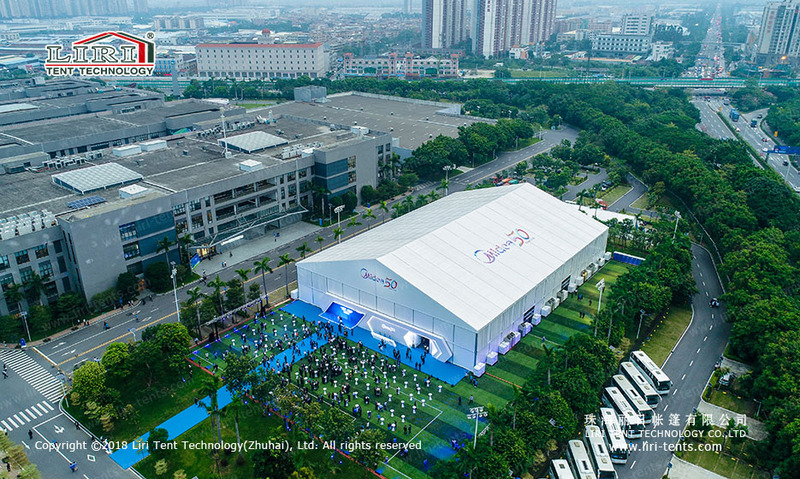 For example, the wall can be designed with glass to make the tent look more high-end, and the interior can also be equipped with air conditioners, wooden flooring, curtains, stage, roof lining, lighting, and other decorations. LIRI Tent has been focusing on manufacture and sales of various tents for over 20 years. We offer high quality clear span tents for clients over the world. Nowadays there are lots of cases with Liri tents in the world and we achieved unanimous praise. Copyright © 2018 Marquee Tent for Sale, All rights reserved.